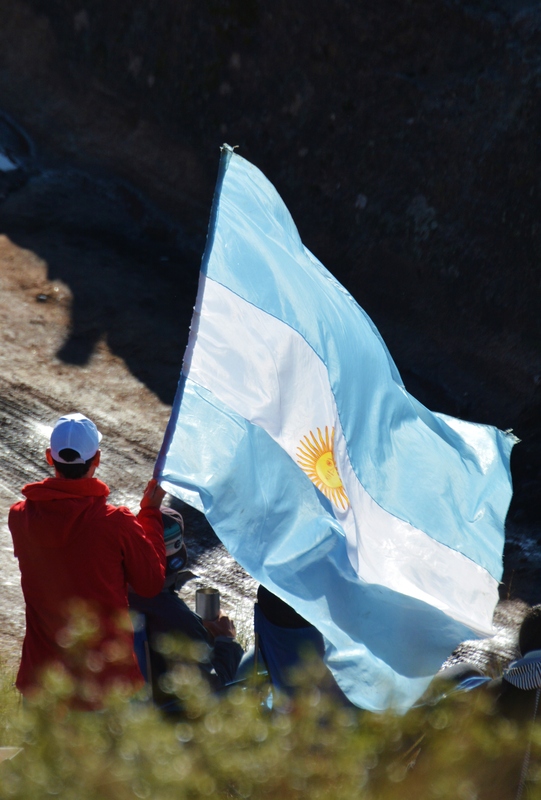 Dan’s WRC Blog – Argentina, Wow What An Adventure! It’s Sunday the 26th of April 2015. Stood at an altitude of 7014.4 feet above sea level, Just a few meters from the start line. Over looking the stunning rocks and mountains, with Carlos Paz way out on the horizon. Its 11:42am as the gentle rumbling sound of ‘Le petit bolide’ (The little Racer) comes to a halt at regroup. The DS3’s throbbing turbo charged 1.6 litre, 300 plus horse power engine switches off. The hill side falls silent. 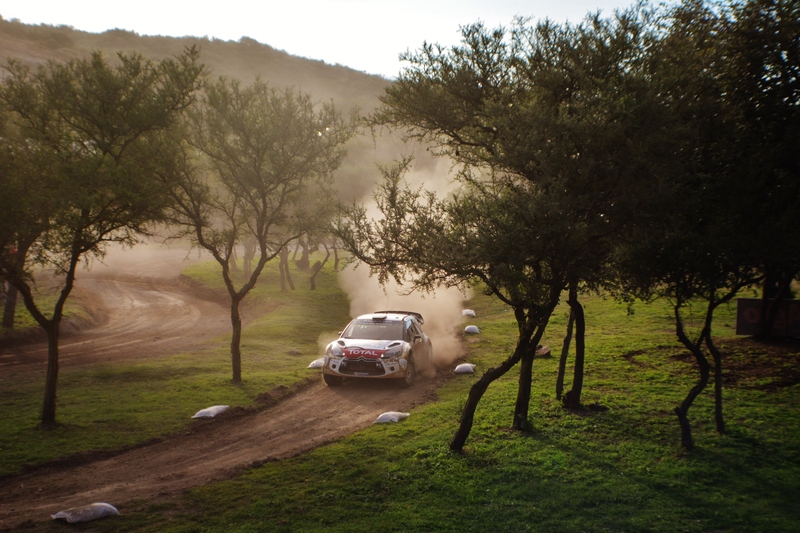 The door slowly swings opens, as Kris Meeke calmly climbs out of his car. Fans from off the stage gather around, calling “Foto, Foto”. The atmosphere of excited local Argentine fans is buzzing. 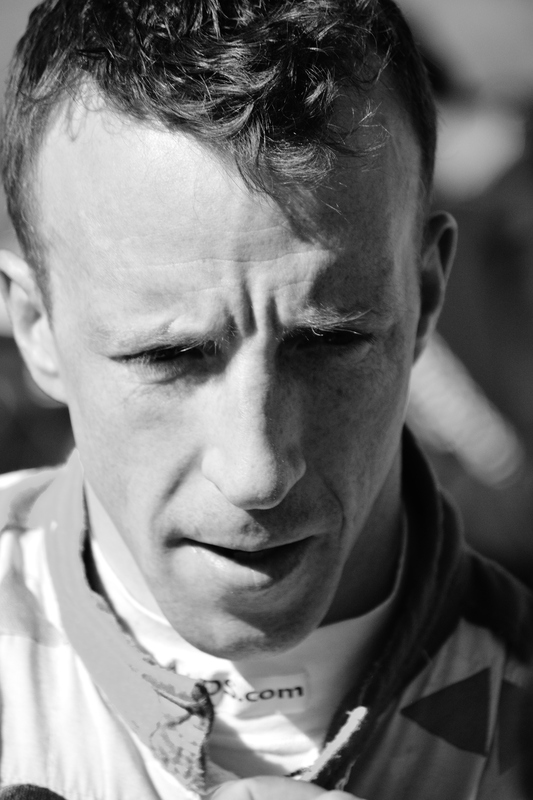 But in his own world, seemingly oblivious to it all, there is an air of calm surrounding Kris Meeke. His eyes glance out across to El Condor stage off in the distance. His eyes scan the various sections of the 16 kilometre stage that can be seen. He doesn’t for one second take his eyes off this incredible view of the iconic stage, as he slowly walks around the front of his car for a better view. Slightly sheltered behind the cars from the excited fans, he lifts his hand up. Slowly running his fingers through his hair, still not taking his eyes off the stage in the distance. He takes in a big deep breath…. Then looks down as he slowly breathes out. A slight grin creeps across his face, as he thinks about what this could mean to him. This moment. This Mountain. This view of this stage. Just 16.32 kilometers are between him and the moment that the 35 year old has been dreaming off for most of his life. He looks up again, and brings himself out from his brief moment to himself, back to earth. Now he is aware of what he has surrounding him. 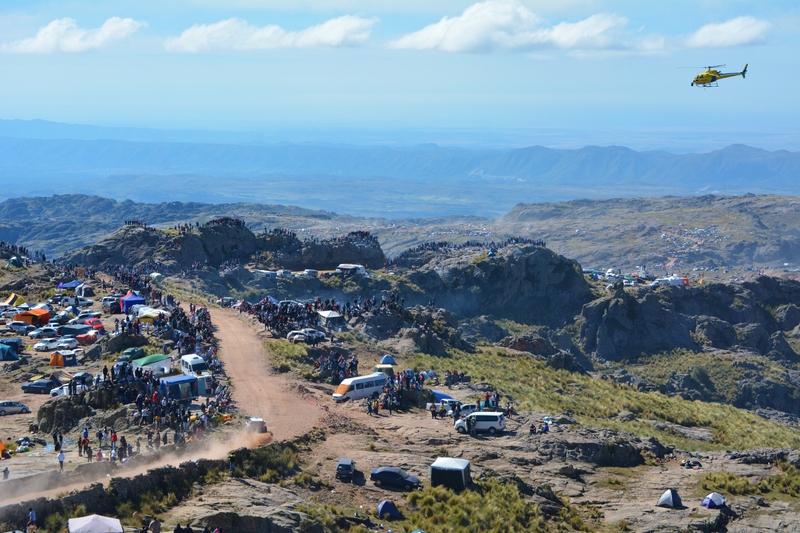 A hillside full of Argentinian Fans, who aren’t so much interested in who’s winning, but are there for the excitement, the drama and entertainment that the WRC brings to this corner of the world. So he answers the fans, and gives a bit of his time to give autographs and take photos with them. It serves as a good distraction to Meeke, as he tries not to think about what could be waiting for him in under an hours time. In the last three rounds he has put too much pressure on himself and binned it. He is determined not to make that same mistake this time. Not to let that pressure build, and not to bin it, he couldn’t? Not now he is so close! As he worked his way down the crowds, we get our turn to have a bit of ‘Meeke time’. I ask him, “So how are you feeling about this final stage then Kris?” He looks at me with a slight smile as he replies, “Yeah, okey.” He takes a pause, as he takes another deep breath. He says with his calm and gentle Northern Irish Accent, “I just got to try an keep focused, keep it clean till the end.” I wasn’t sure if he was answering my question or telling himself that. But 30 minutes later, us four, became a very rare special group of fans to witness something that every rally Fan in Britain wish they could have seen. And that was to Watch Kris Meeke take his first ever WRC win in person in Argentina. Wow what a trip, And We were there! It all started for me on Monday after stopping off in the wonderful city of Buenos Aries from our long haul flight from Frankfurt. The roads at rush hour in the city really is every man and woman for themselves. If u see a gap go for it, pay no attention to any signs, lights, lanes, just go go go. Which strangely works, as the traffic generally some how keeps moving, unlike a traffic jam in the UK. That’s if u don’t crash in to everything along side and in front of you as if you’re in a pin ball machine. In fact, its best just to close your eyes! The sort of cars on the roads were such a variety. anything from old Cars from the US to modern-day european cars. Lots of old Peugeot and Renault, from back when they use to build good cars in the 60’s, 70’s & 80’s. However, I’d say 60% of the vehicles on the roads, wouldn’t pass an MOT. Everything had a dent at best. At worst, we saw an old 80’s rust bucket, that looked like at some point it had been massively on fire, the burnt out shell was somehow still driving, sort of. Then you get other cars that are made up of several other cars, bringing a whole new meaning to Hybrids…. 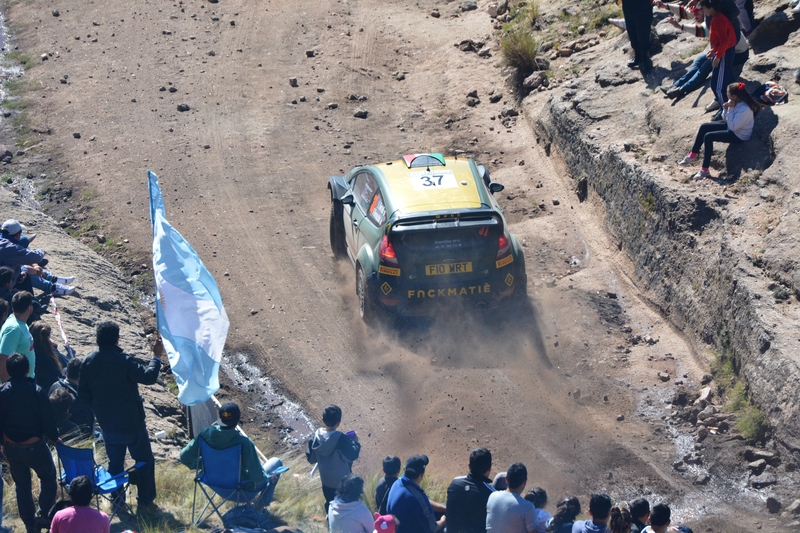 The next day we flew out to Cordoba, to Carlos Paz where the rally was based. There we had a Local guy Mario and his wonderful family who run trips and tours all over Argentina who looked after us, Which Arctic Jeff From Rally Travel sorted us out with. It made for a brilliant group to easily travel around the Rally with as well as any other trips that we wanted to do out side of the rally. He even helped Arctic Jeff’s step mum Mavis, to follow and spectate on the whole of the Dakar Rally back in January. It was a steady first few days building up to the rally, as Shakedown was on Wednesday and then after more giant steak and wine, the Rally kicked off on Thursday evening with a super special. Before that was a fun PR event for the WRC. The wheel change challenge, which seemed to attract a decent crowd. And was good for us to catch up with some of our WRC friends. It may have been a gentle pre-event setting, but the proper start to the rally was anything but! Friday 24 April. The proper start to the stages. As we headed down some of Argentina’s finest bumpy roads in the back of a mini bus, towards SS3 Villa Bustos/Tanti. Arctic Jeff got his technology wizz box fired up, so we could listen in to our Brilliant friends on WRC Live Radio. Becsy and Colin in full flow as usual, covering the first stage of the morning, the mega Ascochinga stage. But expecting the usual out on the world stage, turned into anything but. First Ogier stopped, with a sick engine which died before getting to the end of the stage. With the World Champion out, it always gives us a good mix up in results, but that was just the start of the carnage. Next Neuville stopped – puncture. M-sports Evans lost time stuck in Neuville’s dust. Then Mikkelsen spun, causing a front left puncture. Next was Paddon – Broken engine mount, broken drive shaft and a turbo problem. Dani Sordo – No power steering and Bertelli stopped at the half way point. We were in shock with all this drama, especially when we heard Kris Meeke was leading by 31.9 Seconds, and even he had problems with no handbrake. At this point we left the internet wizzing bus, and made our way down to the stage, wondering if there are any cars left to watch? We stood on a straight section as they come into view after a small left bend, with hill-side view in the back ground. Flat out past us towards a cheering crowd for a 90 left. 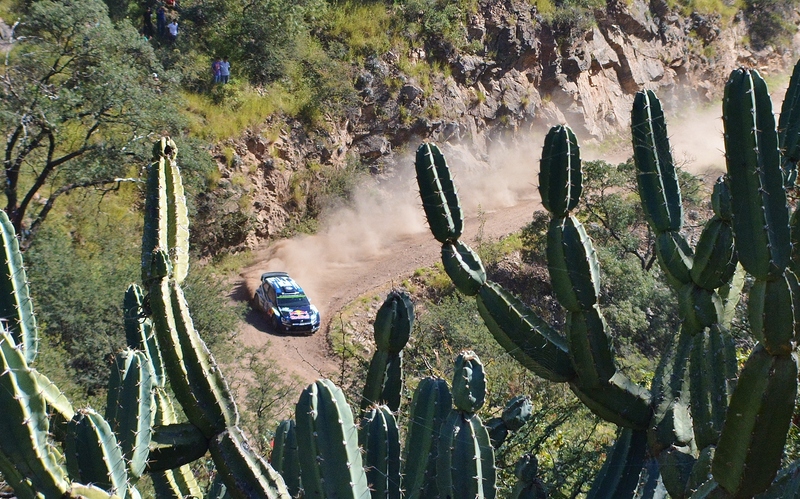 the atmosphere and sounds of fans, helicopters and rally cars that we know so well was a great start to Rally Argentina. We then headed to one of the best Super Specials on the Calendar, two laps around Thematic Park. It’s a brilliant little stage. A head to head layout, one on the inside and one car on the outside track, lots of tight twisty corners, the odd jump, with a bridge cross-over half way around, to swap the cars over. The fans loved it – complete with helicopters, and stunt display planes. You can certainly tell the Rally is in town in full flow. The excitement built up more and more as the cars and drivers got faster building up towards the top boys. Well, the boys that were left anyway. A struggling Latvala clearly had problems but managed to get to the end of the first day. Meeke still leading, but the rest of the cars, especially the lower classes certainly looked battle scared. And car 52, Dominguez in the R5 Fiesta gave the crowd some entertainment when he swapped his front end and his back, after using an over excited right foot to leave the R5 pointing in the wrong direction. What a great day of rallying. the Fans were still Partying, the tents flashing lights, with bass pumping music, I thought we turned up to Glastonbury Festival. Fires and disco lights lit up the dark morning sky, as the Rally atmosphere danced on long before Day 2 even started. This is what rallying is all about for the locals. On the first run, we stayed at the finish. We couldn’t get an internet connection for WRC Rally Radio. But it didn’t matter, at least we could hear half of it, and watch it, as the Voice of Rallying, Colin Clark was at stage end. Always happy to chat before he embraces the airwaves with his passionate husky scot voice. This man should have his own TV show!! The 2nd run, I climbed way up the mountains, after Colin had described to us the amazing view you get, from when he was doing the recce with Becs. So up I went. The view was stunning, the trees and rocks full of fans, and i was joined by 4 new friends. How the heck four stray Dogs found their way right up here is beyond me. I saw about 4 cars come past before the stage was cancelled. 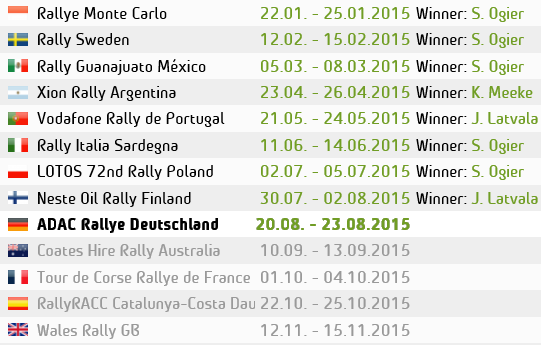 Sunday, the final day, and the Rally was Kris Meeke’s to lose! ‘Don’t bin it, WIN IT!’ Was the words chanted by Arctic Jeff and myself for the whole day. We arrived in the mini Bus a good few hours before it started. As there was only one stage repeated twice. The legendary ‘El Condor’. We parked next to the start as the fans flooded in from all directions. Amazing how so many people can just appear in the middle of nowhere. As we watched the sunrise up, showing us the most incredible view over looking Carlos Paz in the distance, while we were stood 7000 feet above sea level. The place was buzzing with excitement. When it got close to the first running, we decided to head off to try to find a good spot, expecting it to be difficult with the amount of crowds and expecting to have to walk for miles. In actual fact, 1 minute later, as we walked up to the top of the rocks, it opened up to a stunning view of the first part of the stage. “Oh arr, this’ll do” Said Arctic Jeff, as I looked up to see what he was talking about, “Blimey, yeah this’ll do”. What view! The crowds covered every piece of rock you could see. The super narrow tight twisty road, if you can call it that, was surrounded in colourful fans, thousands of them everywhere, like coloured ants. The elevated view gave us a great sight of the first few corners, and you could see various other sections of the stage way off in the distance. and it was just metres away from where we parked up. Atmosphere was brilliant, with fans seemingly cheering people just for turning up, so you can imagine the noise they made every time someone fell over on the slippery grass. The El Condor really lived up to expectation. But it claimed a victim. Volkswagen’s Jari Matti Latvala, with a very sick sounding engine which came to a halt later on in the stage. Could this rally get any worst for VW? After the first run, all the drivers regrouped – Also right next to our mini bus. And that enabled us to catch up with a few of the drivers, and what there thoughts were on the rally. And of course, the main man of the weekend, Kris Meeke. Before we knew it, it was time for the final run, this time as the Powerstage. Being Broadcast Live across the world on the Telly box. We went back to our spot on the rock, and the very low helicam flying over our heads and the crowds, was a clear indication, that we were all going out live on the telly. 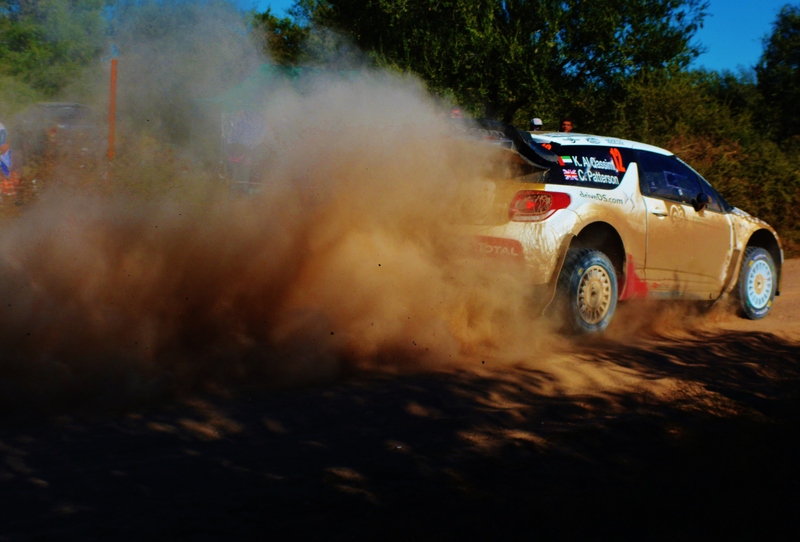 Ogier As usual blasted out and seemed so fast yet so calm. His VW Polo dancing effortlessly between the rocks like it was on rails. But the most spectacular action came when Mikkelsen fired out onto the stage. Totally hammering it, clearly trying to beat Ogier for the Power stage bonus points. He came over the fast crest that gives the car just enough lift to get all fours off the ground momentarily. The so well balanced Polo was thrown into the following fast left hander. Taking it a too deep, with a bit too much speed and drifted out wide on the exit. Then BANG! The rear of the car just clipped a lump of rock on the outside and lifted the whole back-end up in the air. The Polo did the Tango on its nose and when the rear landed back to earth, the car continued backwards into the rocky bank on the other side of the road. Next on the road was Sordo, who narrowly avoided a stricken Mikkelsen on the side of the road, Showering the flailing Polo in sandy dust. The car was pushed aside safe and clear. A few minutes later, Mikkelsen’s good friend and rival Thierry Neville in his Hyundai, fired into the stage – A stage fast becoming known as ‘PinBall alley’ by our twitter friends. After a tough weekend he to was gunning for them bonus points, trying to gain at least something from this event. Kept it tight round the first right hand corner, flat on the gas as he exits with amazing traction from his i20, along the short straight with the small crest. Pushing over the limit and giving it everything, giving it too much, and as a result, repeats his dear friends dear mistake. Bang, and up the car goes as the rear slams into them pesky rocks on the outside, doing the Condor Tango twist. 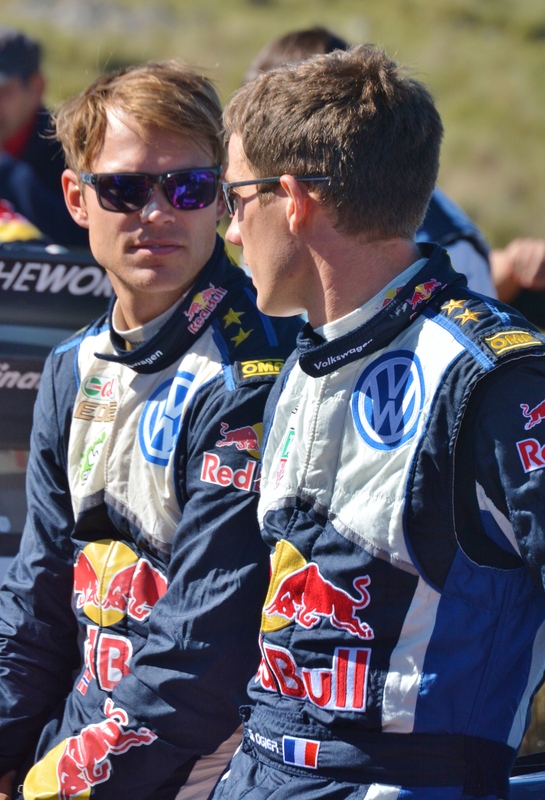 A mirror image of Mikkelsen’s mistake, only harder. Totally destroying the wheel. The car pointing in the wrong direction to the stage after his crash landing. He tries to spin the car around. But with only three wheels on his wagon, that results in crashing into the same rocky bank on the other side of the road that Mikkelsen hit going backwards. The fans were in overdrive. Neuville, tries his best to continue. Drives out of view, doing everything he can to get the three-wheeled Hyundai to the end. But it was no good. He had to pull over and end it. After seeing the drama in front of us. We were probably more nervous that Kris Meeke was about him getting to the end. Out he comes, just after his team-mate Mads, who heads to score a 2nd place. No such action from Meeke. He did exactly what he told us he would do. Drove it clean till the end. And went on to take his first ever WRC win. It was a special moment. Knowing everyone back home wished they were here. And here we are. And what an amazing party it was back at Zebra club later that evening. Volkswagen were quick to arrive to drown their sorrows. But lets face it. It’s not like they have a bad rally very often. They’re still running away with the Championship. Which makes it mean all the more to Meeke and Co-Driver Paul Nagle. To top it off, Elfyn Evans got 3rd. Party on with them we did!….. 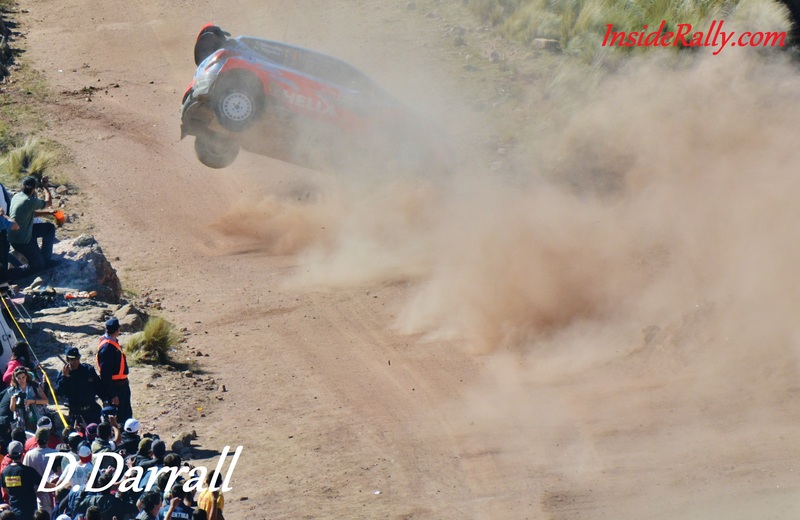 This entry was posted in Dan's WRC Blog, WRC and tagged Argentina, Citroen, ford, Hyundai, Meeke, rally, Travel, Volkswagen, WRC. Bookmark the permalink. 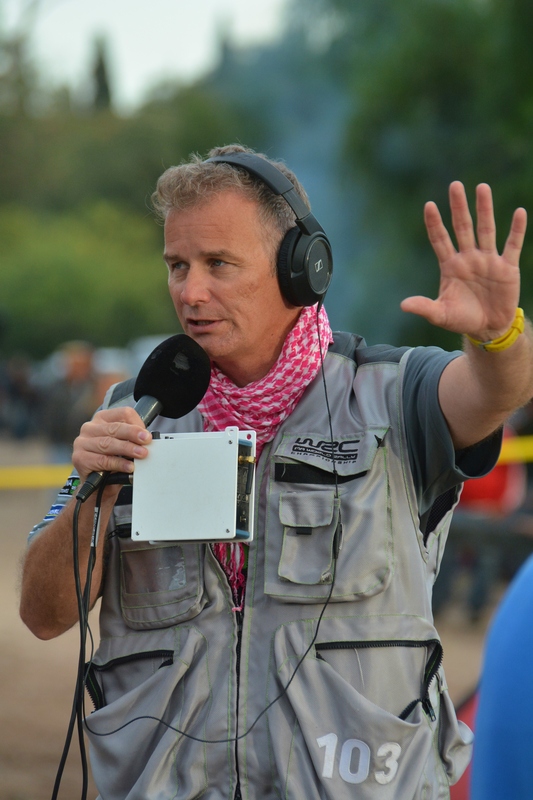 1 Response to Dan’s WRC Blog – Argentina, Wow What An Adventure!